il 14 febbraio la festa di san valentino per chi si ama come tutti noi augurio di cuore nella bellissima parigi oggi il martedi di carnevale la boheme i giovani e l'amore thank you vic la boum. joe dassin je existe in dans les musiqye parisienne la boehme n'exit pas se tu n'exist comme porr exit dans l'amour , i look in your buiografy is born in usa peccato questa nascita riduce la pop music francese merçi beaucoup la boum clode pinnoteau la boum film-exite. 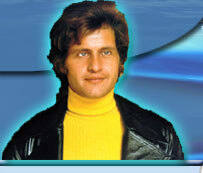 joe dassin. mer@i paris la grandeur da sud italy femme argent vive merci. merveille chancons d'amour. charles aznavour: la boehme pour moments love marriage very best kisses. - questi giovani musicisti come me nella povertà immessi negli amori spezzati vivono così...- mi intristisce la violenza sui giovani ormai duri e rubdi q qualche kilo di crak purtroppo non visitano parigi la grandeur pigale bellissime città ti consiglio charles aznavour la boehme noi tutti amici dell'europa buon anno. vichy la boum. Bravissimo joe dassin canti benissimo sei dolcissimo la tua musica rieccheggia nelle orecchie della pop art francese che conosco bene ho vissuto grazie!!!! che paradiso non vivo senza te amore grande l'unione tra me e te granzie merci. The more I listen to many of your songs, the better they sound over time, Joe! Your presence is undeniable. Bless you, and thanks! Bonne anniversaire, Joe... tu sera pour toujours dans nos coeurs... merci pour toi, pour tes chansons, pour ta voix, pour ton sourire, pour ta personnalité incomparable... tu nos manques. Happy Birthday the artist eternal! Sign: The international fan club Joe Dassin, Belgium. C'est une chanson pour Charles et tous les gens- Merci pour la musique! ÓáÇã .ãä ÇÓãã ãÒ�Çä ÇÒ ÇیÑÇä åÓÊã .ÇÒ ÔãÇ Èå ÎÇØÑ ÌãÚ ÂæÑی Çیä ãØÇáÈ ÒیÈÇ ãÊÔ˜Ñã.bonjour.je m'applle mojgan .merci beaucoup pour ces beau allbum. hello .i'm mojgan from iran.thank you for collect this album.i love joe dassin' song. I'm listening to songs that I have not. They're great and his love and vibrancy comes across so clearly! Joe is here... and living... thanks to his lovely personality and songs. I thank for his living and having made us aware and enjoying of his great talents of humanity, of life and music... both being vibrations and reflections of life. Thank you Joe! You're an exceptional talent and living amongst us who love and appreciate life, love and music! You are unforgettable Joe Dassin! Several years ago I started collecting love songs in many languages as I speak 5 languages and have lived in many countries finally settled in San Francisco, California. I did not know much about Joe but I happen to have only "Indian Summer" that made me fall in love with it after listening to it on youtube few months ago and seeing Joe himself for the first time. Since then I have seen and enjoyed so many of his songs and performances on youtube. Read about his so untimely death and cried. His personality shines through it and now I have to periodically see and enjoy his immortal gift to us and to generations to come. I consider myself very lucky and am grateful to have met and known him through listening and enjoying his songs and performances rather recently. Joe was such a beautiful and talented person and his great spirit comes across everytime I watch and listen. I'm sad for his untimely death. Through his performances talented Joe continues giving the beautiful message of love and joy of living to all those who tune in. Thank you Joe Dassin. May the Universe keep you blessed forever! Hi all - Emigrating from Bulgaria in '87, my mother and I stopped in France where she had to buy Edith Piaff and Joe Dassin. Even without understanding Joe's lyrics, the songs have grown on me with every year. His pleasant, quality voice, good-hearted lyrics, playful music, and the great variety of songs are special - ala ABBA's for me. Very sad that the life of such a genius and a great person was cut short. Thank you for enriching our lives forever Joe !! My gratitude to the great people maintaining this great site! d'autr pareille, sa voix fait bouger mon coeur. Ma question est toujours, pourquoi il est parti aussi vite.